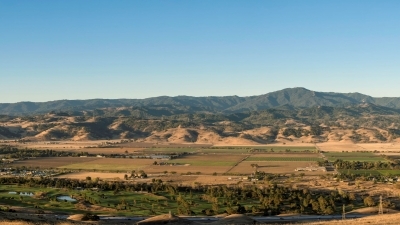 The Authority releases the Santa Clara Valley Agricultural Plan in partnership with Santa Clara County, a strategy to support the local food and farming economy and mitigate for climate change. 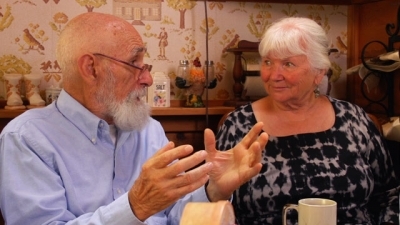 The Authority celebrates its 25th Anniversary and 25,000 acres conserved. The Authority participates in Governor Brown’s Global Climate Action Summit with an international tour of Coyote Valley. The Authority becomes the first public agency in the nation to receive accreditation from the Land Trust Accreditation Commission, an independent program of the Land Trust Alliance (LTA). The Authority releases the Coyote Valley Landscape Linkage report, highlighting the importance of Coyote Valley for wildlife connectivity. 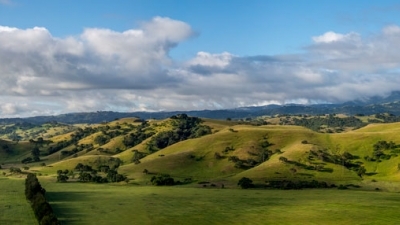 Santa Clara County Open Space Authority changes its name to Santa Clara Valley Open Space Authority and gains ability to acquire land beyond its jurisdiction. 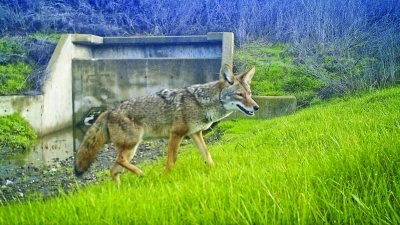 Researchers confirm Coyote Valley as a Critical Wildlife Movement Linkage, providing a path for wildlife to move between the Santa Cruz and Diablo mountain range. The Authority releases Understanding Our Community, a report identifying neighborhoods with significant barriers to open space access. The Authority prioritizes bringing nature experiences to these areas - primarily through its Urban Open Space and Environmental Education grant programs - in its efforts to serve all jurisdiction residents equally. 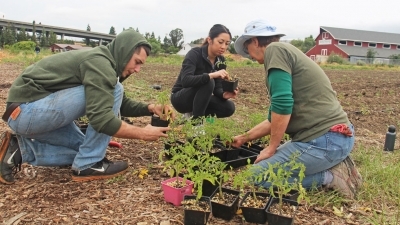 The inaugural Measure Q Urban Open Space Grant Program provides $1.55 million in grants to connect people to nature and provide access to open space in their own neighborhoods. 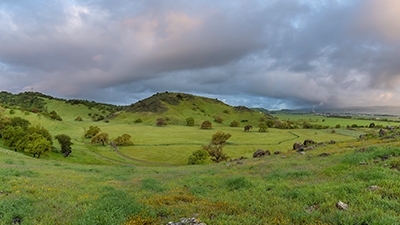 Coyote Valley Open Space Preserve opens to the public. 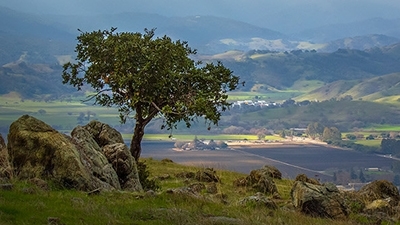 Open Space Authority acquires the 1,859-acre Coyote Ridge Open Space Preserve through an extraordinary private and public partnership. 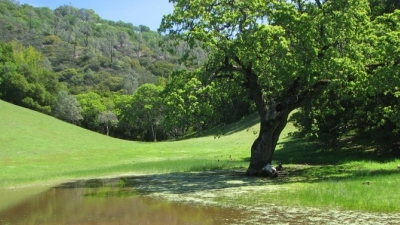 The Agency unveils the Santa Clara Valley Greenprint, a 30-year conservation vision for Santa Clara County. 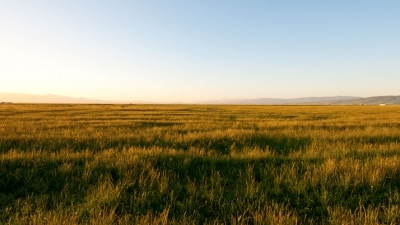 Healthy Lands & Healthy Economies Initiative, “Nature’s Value in Santa Clara County” study values the “natural capital” of the Santa Clara Valley at over $160 billion. A new parking lot opens with panoramic views of the valley at the top of Sierra Vista Open Space Preserve. Measure Q passes with overwhelming support (68%) from voters. A $120 million parcel tax to fund protection of wildlife, water, working lands and other open space, increase public access, and create new urban open spaces and environmental education programs. 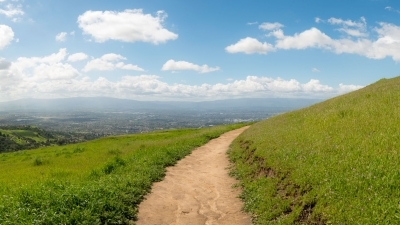 Six miles of new trail opens at Sierra Vista Open Space Preserve. 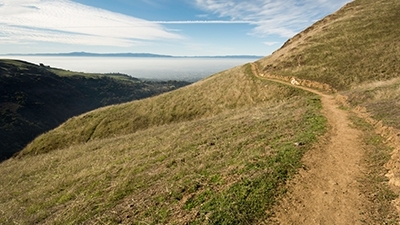 The Open Space Authority now has ten miles of trails that connect to the Bay Area Ridge Trail. 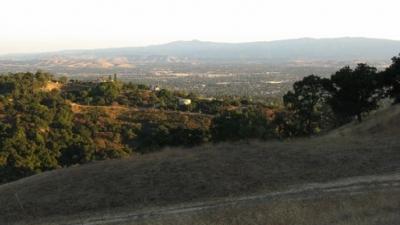 The Authority purchases the 348-acre Coyote Valley Open Space Preserve. 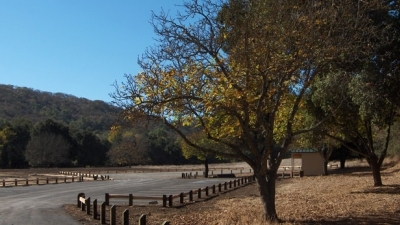 The Authority opens a new staging area at Rancho Cañada del Oro Open Space Preserve. This space includes direct access to trails, paved parking, an equestrian area, and a vault toilet. 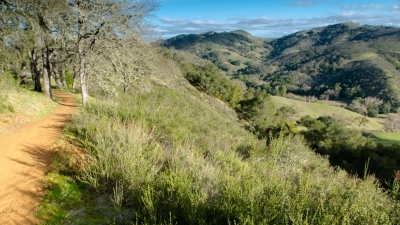 First preserve, the 5,268-acre Rancho Cañada del Oro Open Space Preserve, opens to the public. 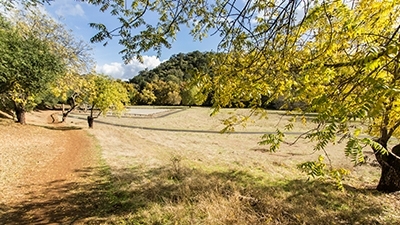 First conservation easement under Authority management: Silacci easement. First trail, the Boccardo Trail, opens to the public at the 1,611-acre Sierra Vista Open Space Preserve. 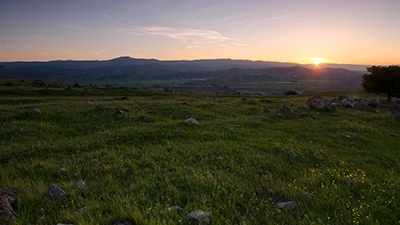 The Authority acquires Sierra Vista and Rancho Cañada del Oro open space preserves in partnership with Peninsula Open Space Trust. The Authority partners with The Nature Conservancy to purchase its first property, the 3,524-acre Palassou Ridge. First funding grants under the “20% Funding for Urban Open Spaces” program go to the cities of San Jose and Santa Clara. 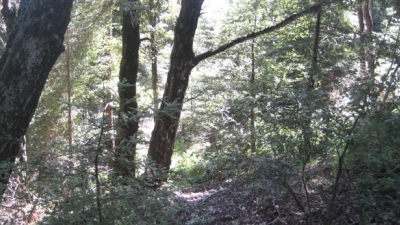 First scenic easement gift by Midpeninsula Regional Open Space District: LaPoint. Voters from the Authority’s seven districts elect members to the first Open Space Authority Board of Directors: Johne Baird, Janis Fraser-Juarez, Bob McGuire, Jerry Estruth, Pete Carrillo, Garnetta Annable, and Richard Forst. The Board holds their first official meeting on June 27. First funding measure, a $12 per parcel Benefit Assessment, passes with 57% of the vote. The Interim Open Space Authority Governing Board is formed to set the stage for potential future funding. 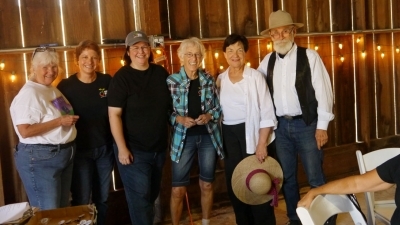 Its members include County Supervisor Mike Honda, Trixie Johnson, Margie Fernandes, Judy Nadler, Robert Livengood, John Ashworth, Dianne McKenna, Judy Stabile, Shirly Lewis, Elwood Johnson, and Vern Deto. The County of Santa Clara officially joins the Authority along with the Cities of San Jose, Campbell, Santa Clara, Milpitas, and Morgan Hill. Governor Pete Wilson signs Senate Bill 2027 to create the Open Space Authority. The bill does not include a funding mechanism. San Jose/Santa Clara County Joint Open Space Implementation Committee forms to implement the Preservation 2020 Task Force recommendations. 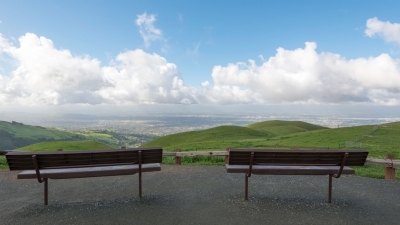 Two local government task forces are created in response to citizen advocacy: the San Jose Hillside and Greenbelt Task Force, and the Santa Clara County Preservation 2020 Task Force. Both release reports recommending the formation and funding of a new open space district to acquire open space beyond the jurisdiction of the Midpeninsula Regional Open Space District. 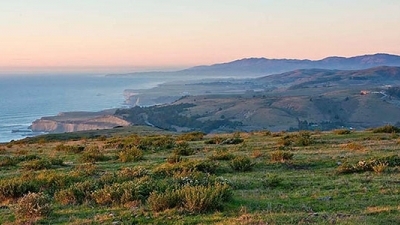 Founding of Midpeninsula Regional Open Space District, providing public support for open space protection and land conservation in the San Francisco Bay Area.